What is the karat of the chain? 10kt, 14kt, 18kt? 14kt is the most common type of gold in the US. 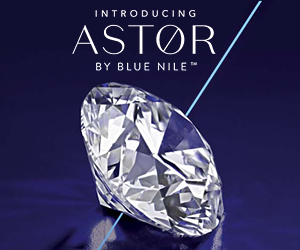 That’s because it’s a good combination of durability and beautiful luster. 14kt gold is 14 parts gold and 10 parts alloy. The alloy is what makes the gold durable enough to wear everyday. 10kt gold is actually MORE durable. But 10kt gold is only 10 parts gold and 14 parts alloy. Which means it has more alloy in it than gold. I would skip 10kt, stick with 14kt and you’ll be fine. Any gold sold in the US MUST have a KT stamp on it some where. 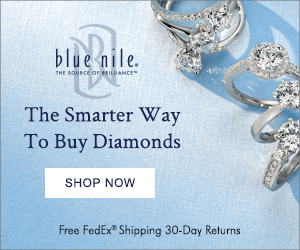 It’ll simply say 10kt (or 417), 14kt (585), 18kt (750), or 925 for SS; sterling silver. 2) What Length are you looking for? Do you want it collar length? Do you want it to come to a nice V above your chest? Or do you want it to hang longer, near your belly? The most common and popular length for a chain is 18″. It’s not too short (like a 16″ choker). It’s the perfect length to be visible. Plus it doesn’t get caught on everything because it hangs too low like a 24″ or 30″ Chain. 3) Are you Wearing a Pendant or Charm? This is an important concern, because it can drastically change the type of chain you purchase. For you to be able to wear a pendant or charm, you will need a chain that can withstand the weight of the charm, but not over-power the charm at the same time. 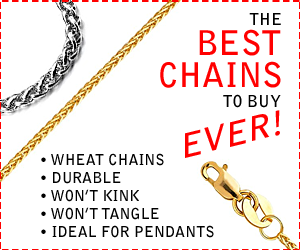 Box chains or wheat chains make the perfect type of pendant chains. They are curable, can hold the weight of the item hanging and will look good with just about anything. A wheat chain is my favorite type of chain. It’s the 4th chain down in the picture shown above. 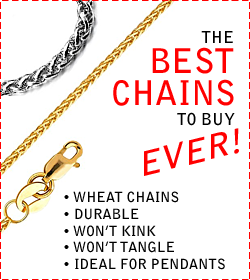 Wheat chains are smooth and strong and can be worn everyday. Here’s the biggest question of all time. If you get it caught on your sweater and pull it off, is it going to tangle up and kink? There are a couple chains out there that are notorious for kinking… I’ll name them. You have the herringbone chain in the lead. This is a very flat chain that looks beautiful… (used to Sell like hot cakes), but the chains would kink so quickly that customers were always MAD. These are the worst type of chain to ever buy in the World. They tried making herringbone chains that were MORE flexible and twistable, but they STILL KINKED something awful. And once you kink one of these chains, it’ll NEVER be the same. You can always see the kink and it’ll only make it weaker in that area so it’ll kink even more. Stay away from these. Another chain that kinks is the snake chain. A solid round chain that looks great but kinks easily. The last chain that kinks is an expensive chain; the omega chain. These chains are like flat hard collars that are worn usually as chokers or a little lower. They are made to wear sliders (pendants, charms made for that style of chain). They look great, they can last a long time, but you have to be careful and not kink it or bend it. If you do, it will be a sad, sad day. 5) What Type of Clasp does it have? If you look at the picture above, you will see two types of clasps. The right one is called the lobster clasp. The one to the left is called a spring ring. I’ll make this short and sweet: RIGHT=GOOD, LEFT=BAD. 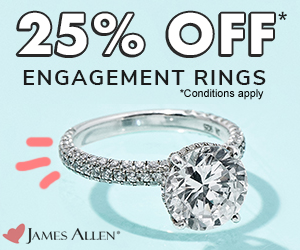 The Spring Ring is Cheap. 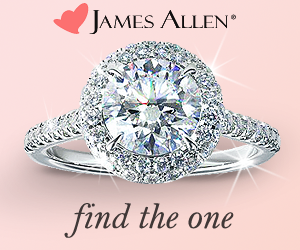 The spring ring is thin, round, and hollow. It’s normally NOT soldered on to your chain. Which means if you tug on your chain (or a baby does), that little ‘O’ ring on the bottom of the clasp will stretch, open up, and you’ll lose your chain or pendant. Spring rings are horrible and unless you want to lose your diamond pendant, do NOT get one of these. Now the lobster clasp on the other hand, is the BEST clasp for any chain. 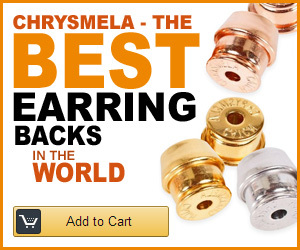 They’re easy to operate, are heavy duty, durable, and are the safest type of clasp to buy, ever. Most lobster clasps ARE soldered onto the chain, which is good. If it isn’t (for some odd fluke), make sure you get that done. Jewelers will solder shut the little round ring that attaches it to the chain so you can’t pull it off. Great protection. Highly recommended. Don’t even hesitate to get one. P.S. 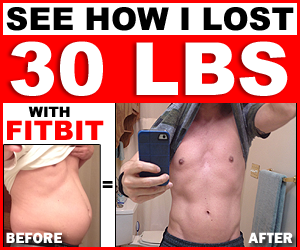 They also sell flat tab clasps, which are fine as well. Some chains have an added figure eight safety catch. Those are great also, but it depends on the type of chain you get as to which clasp you end up with. Beware of the chains with the “magnetic clasps“. They may be easy to put on and take off, but chances are, you’ll LOSE it. 6) Can you Sleep with your Chain on? Most people don’t even think about this. But this is a very good question indeed. A lot of people never take their chains off. They sleep with them on. They crash out on the couch. Curl up with big pillows or fat cats. Wrestle with them on… Your chain is going to take a beating. So you want to make sure that it’s durable enough to be squished, rolled, flattened and whatever else you throw at it. Chains that hold up well are chains with links like mariner chains, or curb links or cuban link, figaro chains, and wheat chains… these are all types of link chains that will work out well. Other chains that hold up well are rope chains, and box chains. So if it isn’t flexible and you think it may kink, DON’T BUY IT! 7) Is the Chain Rough? Funny question, but here’s the test… Run the chain across your skin. Does it catch or feel rough? If it catches the threads and snags then that chain is going to rip up a lot of your clothes. People often forget about wearability issues. But I’ve seen people come in with a raw neck because the chain digs into their flesh. Run your fingers over it. See if it’s smooth or if there are little pieces and edges that stick out. If any stick out and feel jagged, then it could be a problem. 8) Will the Chain Tangle in your Hair? If you’ve ever had your chain get tangled up in your hair and had to pull them apart, it ain’t pretty. It hurts. Usually small, thinner chains tangle easy and roll a lot, causing your hair to roll with them and knot up. Unless you want it pulling all the hair off the back of your head, I would stick with a medium thickness chain. 9) Is the Chain Plated, Hollow or Solid? 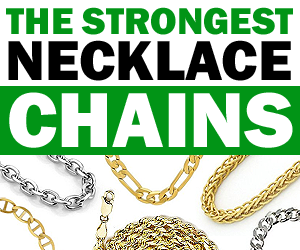 Find out exactly what the chain is made of. A lot of chains look identical but aren’t. 9. Hollow, Solid or Plated? What the heck is the chain made of? You see, a lot of Italian chains are 14kt yellow gold. Which is awesome. But Italians like really rich looking gold. And most european countries like higher gold content, like 18kt or 22kt gold. So what a lot of Italian chain companies will do is plate their 14kt yellow gold chains with an 18kt yellow gold plating. This makes the chain look more yellow. Eventually though, this yellow will wear off since it’s only a plating. This is a good thing to know up front… Especially if you are buying a charm for it and the charm is 14kt yellow gold, but the chain looks like 18kt. They won’t match. You will need to know if the chain is hollow. That’s a very good question to ask. It may look identical to other chains, but it will feel much much lighter. That’s because the inside of the chain is hollow to reduce price. A lot of thick chains are made this way. Some diamond cut ropes also. Hollow chains tend to be very brittle and break easy. Plus they dent pretty quickly and hollow chains really can’t be fixed well. Solid chains are heavier and will last a lifetime. Chains can wear down fast because of all the moving pieces rubbing against each other. Get a solid chain and you won’t regret it. 10) Is the Chain Guaranteed? If a company backs their product, good ones will put a lifetime guarantee on their chains. Now this guarantee usually means they guarantee their product is free from manufacturer’s defects, which is fine (usually meaning tarnishing, pits, or color changes). Do keep in mind, that doesn’t refer to wear and tear or breaking. If you want to really get your chain protected, see if they have an extended service plan (ESP) on it. For a cheap price of this service plan, you can get your chain covered if it breaks or snaps, but most importantly, it will also cover the clasp in case it breaks. And gold clasps are NOT cheap. 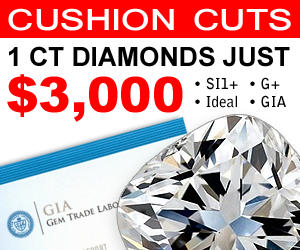 They can cost up to a couple hundred dollars depending on the size of the clasp. 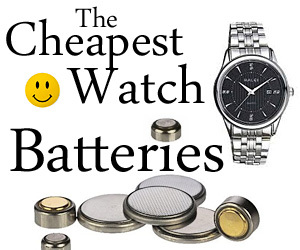 And if a $25 service plan will cover replacing the clasp if it breaks, then it’s well worth it. Does the chain have a trade-in policy? If it does you could always trade-in and upgrade later. I just hope you get what you paid for it. 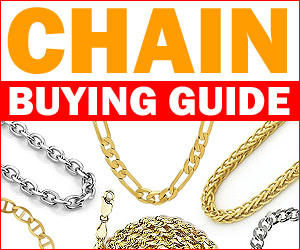 So there you have it, the ten most important things to consider when buying a chain. Should you get a matching bracelet? Get all your gold chains HERE. Thank you for a very informative and educational article. This article is amazing and sooo helpful!!!! I’m trying to buy my boyfriend a chain and I know close to nothing about chains. Thank you for sharing!! Hi! I want to purchase a 14k solid yellow gold wheat necklace. They are a little bit expensive and I can’t decide which thickness I should go for. Is 1mm size a good choice? I’m getting my girlfriend a 4 picture locket for xmas but it doesn’t come with a chain, I know the length but what thickness is good and durable for a 4 picture locket? Thank You in advance. Hi, I just purchased a beautiful but small diamond cross pendant. What chain would you recommend so as not to overpower the pendant. 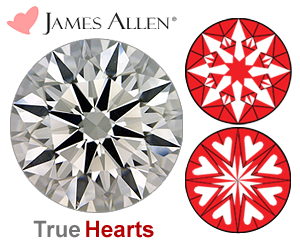 It’s a 0.37ct diamond pendant that can be worn by a child or an adult. I just bought a 1.5mm 14k rope chain. And it gets caught in my hair a lot. What chain do you suggest that won’t do this? What do you think about baby Franco chain? Are wheat chains and Franco chains the same in terms of durability? And if so where do you recommend purchasing? I’ve been looking and it is a bit overwhelming especially when you don’t know if these chains being sold are actually quality. You had great information, Richard! I was recently given a 18k gold curbed chained and I’m a little concerned about wearing it daily, including sleeping with it on. Ive read 18 k is rather soft in comparison to 14k. Its a 38.6 grams 20 inch chain.Your thougts please . Looking at a 1mm bead necklace that has attached station dangling diamonds. Is a bead necklace strong? The necklace I’m thinking of would never have a pendant hang from it. The stones are permanently attached and do not slide at all. Im seeking at 16” gold chain for my toddler that he won’t rip. It will hold a small pendant. What would you suggest to work best in that scenario (i.e. with tugging etc). Thank you! I just lost a 1.4 k diamond pendant because the wheat chain broke! I had it for 17 years. The diamond was insured and I am replacing it with a 1.5 k pendant.. what do you recommend as the strongest, yet nice looking, chain? I don’t like gold color. for 14k gold chains for men …which is most popular …a regular rope or diamond cut rope chain ??????? Richard, thanks for your reply above. The chain broke a few links past the lobster clasp. I bought a new 14K white gold wheat chain online. It is an 18″ long and 1.1 mm thick. I received it today. 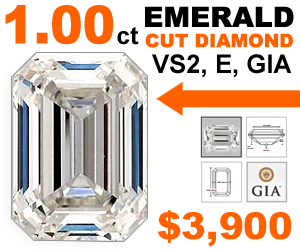 It looks much too thin for a 1.5 K diamond pendant. What do your recommend as an appropriate thickness for such a pendant? HI! I love your post. I have a pendant that is 19mm (circle) and rose gold. From your article I’d guess purchasing a 2mm wheat chain? What length do you feel is appropriate for this? Thanks!!! Thanks Richard! So I think a 18 inch chain is best. What do you think about the thickness? Is 2mm ideal? Thanks! I have a chain with the stamp like this N/C 10k. What does the N/C stand for? I like it when you mentioned about chains that will work out well with durability. As an avid fan of accessories, it is important for me to know if the chain I am wearing is something I can easily take a beating. It shows more comfort to the wearer. I am planning to buy a 12mm chain bracelet and hopefully, I can find something that can hold up well. And I am definitely not considering getting a flexible chain as for your tip here.